Itamar Golan, piano, has been for more than two decades partnering the most outstanding instrumentalists of our time. His work has brought him great critical acclaim, and he is one of the most sought-after pianists of his generation, playing on the most prestigious stages around the world. Born in Vilnius, Lithuania, his family emigrated to Israel when he was a year old. There he started his musical studies and at the age of seven and gave his first concerts in Tel-Aviv. Itamar studied with Emanuel Krasovsky, Chaim Taub and Leonard Shure. 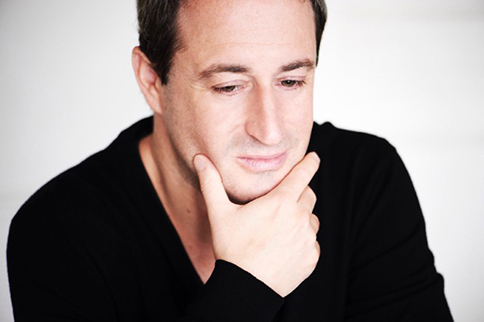 Over the years, Itamar has collaborated with Vadim Repin, Maxim Vengerov, Julian Rachlin, Mischa Maisky, Shlomo Mintz, Ivry Gitlis, Ida Haendel, Kyung Wha Chung, Sharon Kam, Janine Jansen, Martin Frost and Torleif Thedéen among many others. He is a frequent participant in many prestigious international music festivals, such as Salzburg, Verbier, Lucerne, Tanglewood and Ravinia, and has made numerous recordings for labels such as Deutsche Grammophon, Warner Classics, Decca, Teldec, EMI and Sony Classical.